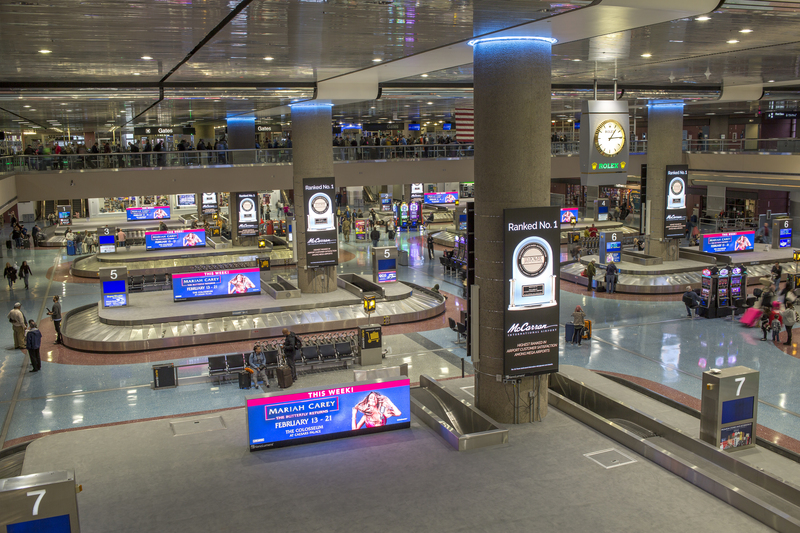 Digital display manufacturer NanoLumens has removed all of the static advertising in the Terminal 1 baggage claim area of McCarran International Airport, Las Vegas, and replaced it with 60 Engage Series and Performance Series LED displays. The largest among the new installations were six 4mm Performance Series soffit displays, measuring 64 x 9in. Six more Performance Series screens were also installed as soffit displays with four measuring 32 x 9in and two measuring 32 x 5in. Advertising firm Lamar Airports also replaced the outdated video system with two 32 x 18in Performance Series displays. 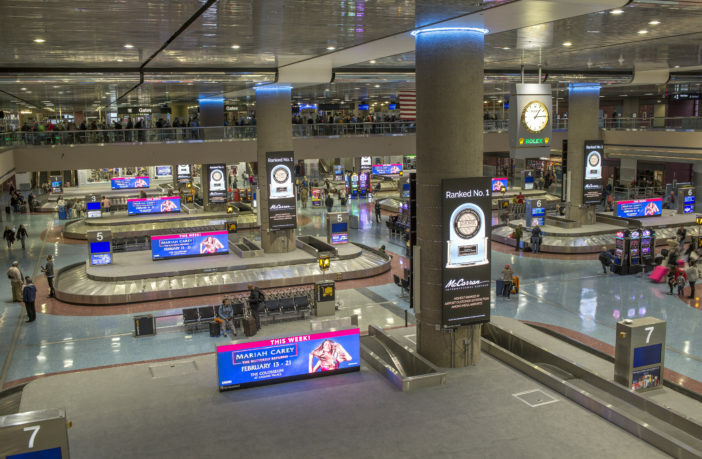 The remaining 44 installations were all NanoLumens Engage Series vertical banner-face displays, installed on columns surrounding the McCarran baggage claim area.